I was at the park for the Haunted Graveyard last night for the fourth straight year. Because it's hard to get night rides on boulder dash in the summer, this has become a mandatory event for me. Some thoughts on my visit. Boulder Dash is still amazing and one of the best coasters anywhere. The ride maintains its speed better than most coasters all the way to the end and delivers crazy airtime. I''ve seen a lot of posts complaining about the triple up. Yes it was bumpy, but it wasn't so brutal I didn't want to ride again. 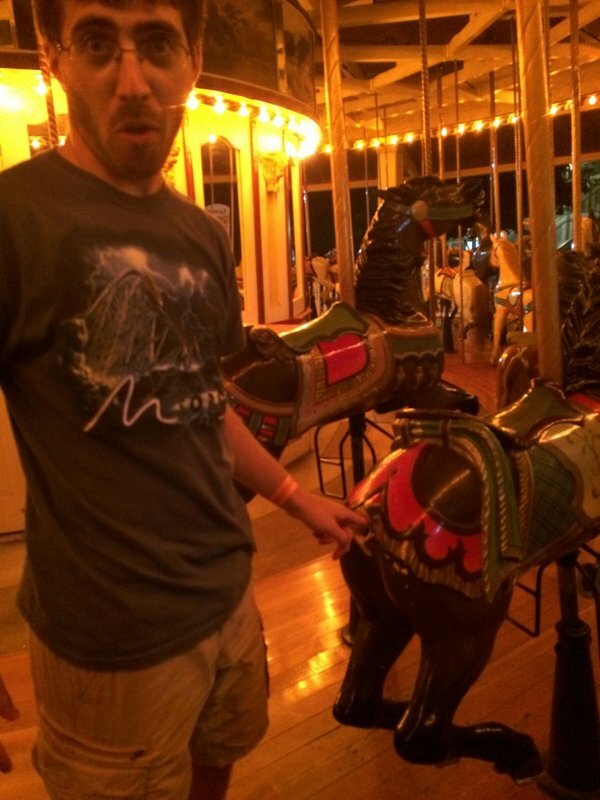 If they fix it in the offseason, the ride won't have any flaws. Lines were about 20-30 minutes with one train ops. 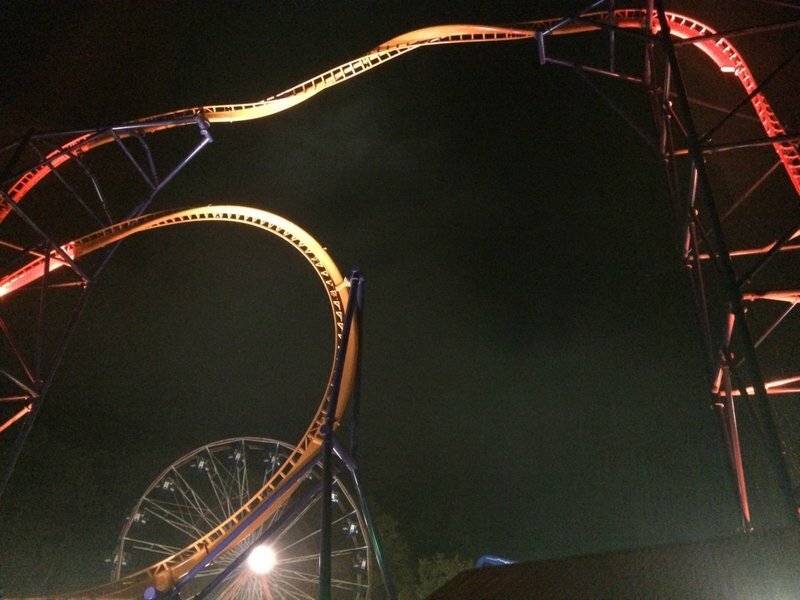 Phobia really changes the park's skyline and is the complimentary coaster the park has needed. I had been on Discovery Kingdom's Superman, so I knew what to expect. The launches were fun (though breaking them up takes away the sudden force that most launch coasters provide) but the highlight is the main ascent and descent which gives amazing air. Phobia was a 1-2 train wait since the crew really hauled. Wildcat was closed again. I think I've only seen it open at the Graveyard once. The Graveyard was well done as usual. Very well themed and immersive with well over 100 live scare actors/actresses. I love how it's one long haunt (45 min) instead of having to wait for several small haunts. One thing the park needs to improve is its communication. The website said the park was open until 11 as did the front gate when we entered around 5:30. After getting out of the Graveyard around 9:30, we did the Flyers and Thunder n Lightning. At 9:55 we were in line for Phobia when the employees were celebrating 5 minutes until closing. I asked and they said they made a decision to close the park an hour early due to low crowds. After Phobia we hightailed it over to Boulder Dash to get a final ride. When leaving I stopped at Guest Relations and found out the decision to close the park an hour early happened around 6:30-7. I understand the park closed early due to low crowds, but I just shared that I wished they notified people inside the park sooner than 9:55. Phobia really changes the park's skyline. Boulder Dash is still the king of the park and one of the best coasters in the world. PS- The triple up is bad, but it's not enough to stop me from riding. Down Time is still one of the best themed drop towers. I love the clock effects at the top. I got caught with my hand in the cookie jar. 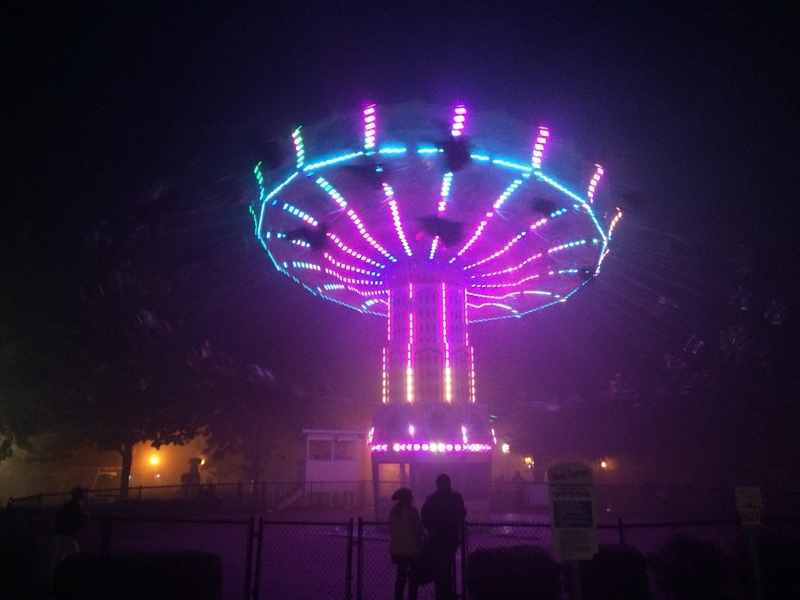 With the overcast/rainy weather and the fog, the park had a really eerie atmosphere. The flyers were faster than I remember. They don't go as high as other parks, but at least they move now. Great compliment to Boulder Dash. I was there the same night. For closing early, the operator at wipeout had mentioned to our group they were closing early. This was around 7:00. So operators definitely knew but they didn't do a good job communicating to guests overall it seems. The haunted walkthrough was fantastic! (Thank goodness for the free express pass) -- much better than I expected and high quality throughout the entire 45min-1hour! A great value for the price and much better than many of the haunts I've done so far this year. Boulderdash was wayyy too rough for the others in my group, but I thought it was great minus the one major pothole everyone talks about. They really need to fix that. 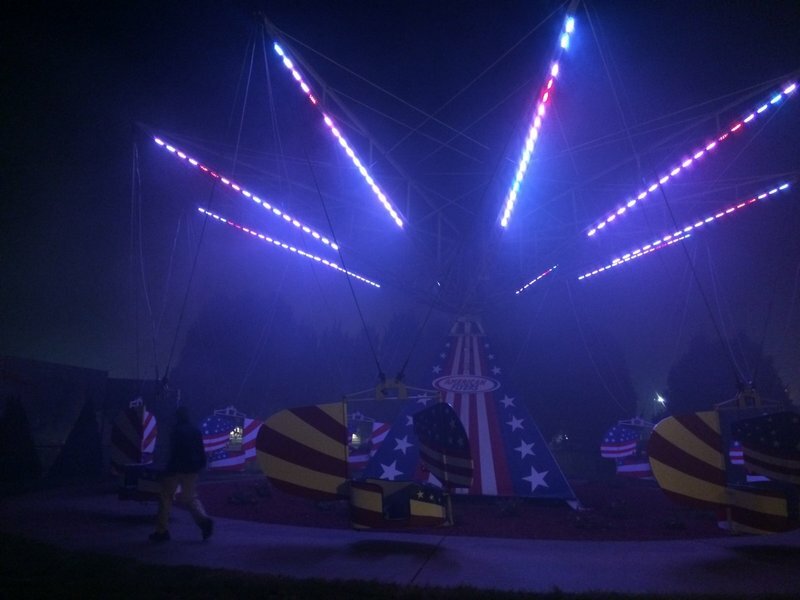 The ride was flying at night. Just wish they had 2 train ops so I could have gotten more than 2 rides in. If you havn't done the graveyard, do it! It's a lot of fun. Okay, a few days ago I got a ticket to Lake Compounce in exchange for giving blood to the American Red Cross. I want to try to go as soon as possible before the season is finished, because that's when my ticket expires. My problem is that I'm currently enrolled at the University Of Hartford and I have no direct method of transportation to/fro the park. 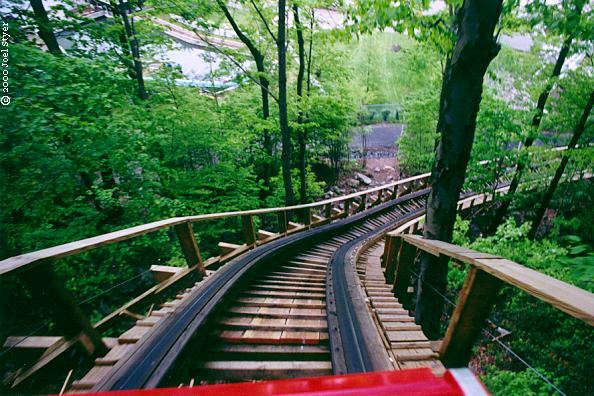 I've always wanted to ride the coasters there, especially Boulder Dash. My question is, if I somehow DO get to the park, what are the Halloween festivities like there? I actually contacted Lake Compounce's Twitter account and asked them which coasters are open in October, and they answered that basically BD, Phobia, and Zoomerang are open (weather permitting). I basically want to ride the three coasters and get a feel for the park if I should go in the future. Also, is there some way I can get to the park without a car? Uber/Lyft? A bus? I really appreciate your feedback, since you guys know more about this park than I do. Finally hit the big 1-0-0! They only have one maze but it's very long and very good. It's easily the best in-park Haunt maze in the region. It's better than anything you'll find at a Six Flags / Cedar Fair park for sure. 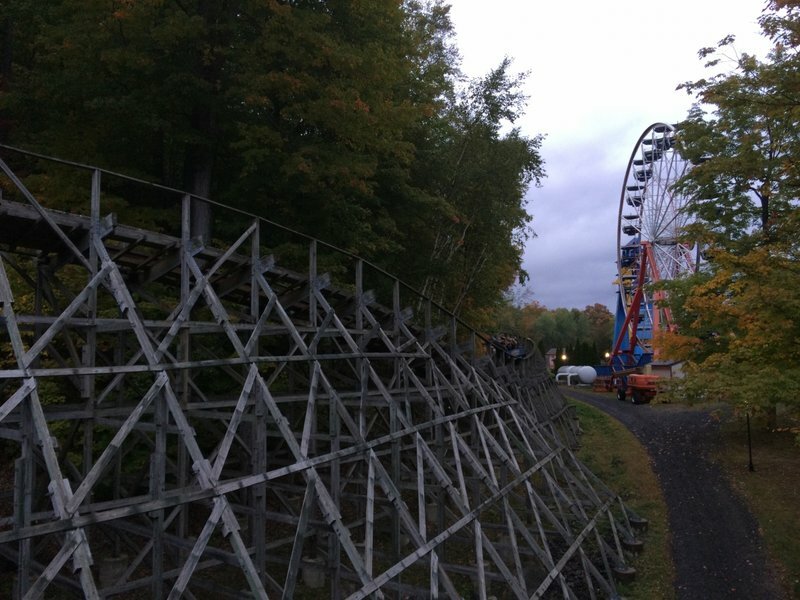 The only downsides to the Haunt are that the flume and chairlift are closed (understandable, though the chairlift is about 40 minutes long and easily the most unique ride in the park) and Wildcat is sometimes closed (which is ridiculous even though it is a pretty bad coaster and always has been). Zack44 wrote: Okay, a few days ago I got a ticket to Lake Compounce in exchange for giving blood to the American Red Cross. I want to try to go as soon as possible before the season is finished, because that's when my ticket expires. My problem is that I'm currently enrolled at the University Of Hartford and I have no direct method of transportation to/fro the park. I've always wanted to ride the coasters there, especially Boulder Dash. It was absolutely pouring for a half hour on Saturday and everything (open for the haunt) was running except the Disko and the Ferris wheel. Like Coasterbill said, the Haunted Graveyard walk through is outstanding and very well done. Much better than any other haunt I've ever gone through. 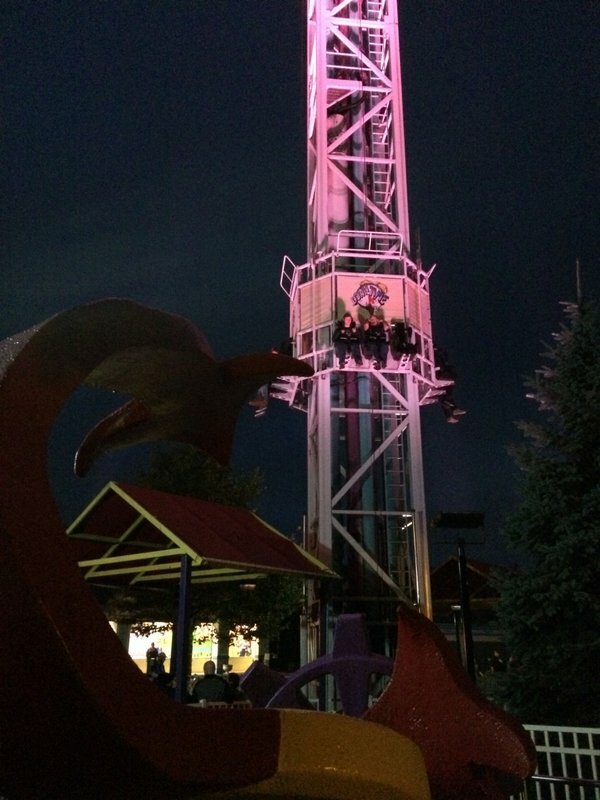 Then the rides on Boulder Dash at night alone are worth going since the park usually closes before the sun goes down during the summer months. 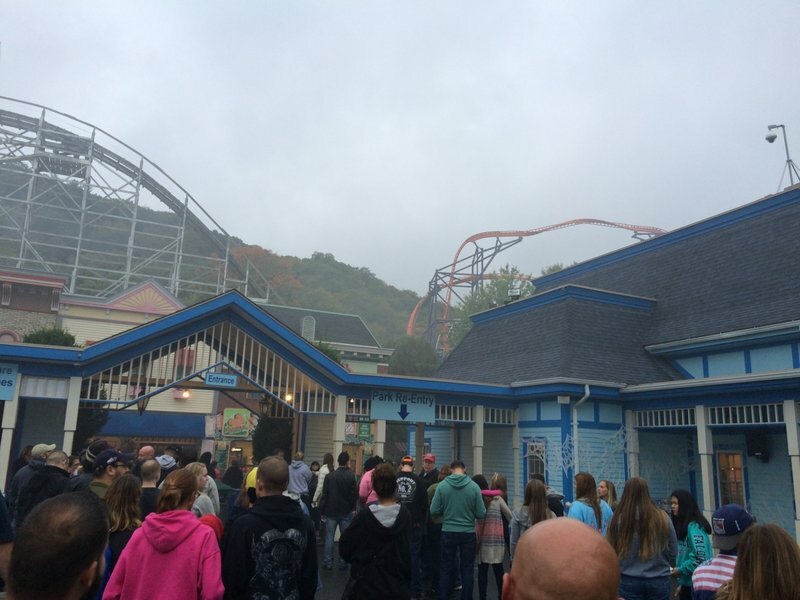 Nice report, I love Lake Compounce in general but their Halloween Event is especially awesome. Nothing like being in the middle of the woods with some fog to enhance the experience. They don't do a whole lot throughout the park decoration wise and they don't have "scare zones" per-say, but the walkthrough made up for it. Yeah the decorations around the park are nothing crazy, but the graveyard is amazing. The entrance to the park is pretty good this year as well. 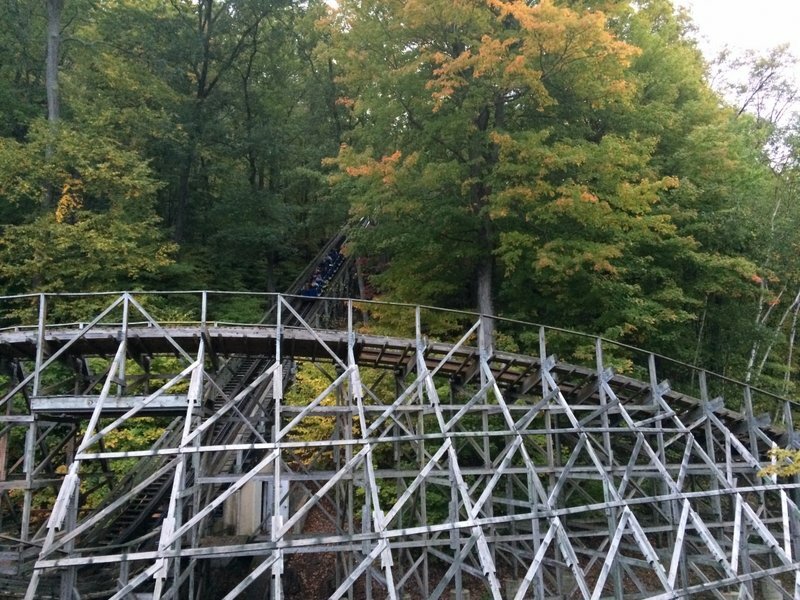 They are also removing the triple up next year and replacing it, and are also re-tracking a bunch of spots on both BD and Wildcat. I think next year will be a maintenance year. I also got 58 rides on opening weekend on BD so the triple up isn't keeping me away. As far as transportation from Hartford goes, if you really have no other way, uber might be your best bet, but it might be difficult to get back. It looks like CT Fastrak might be able to get you pretty close to the park, I would investigate that a little. You're gonna need to use a car ride of some sort eventually, because there's no public transport to the park. I just did a quick search and Bus 102 runs late; closest stop is Pine and Emmett in Bristol. Buses depart from there at 10:23PM, 11:23 PM, and 12:23 AM. From a trusted source at Lake Compounce, Boulder Dash will be receiving the RMC treatment for the 2017 season.